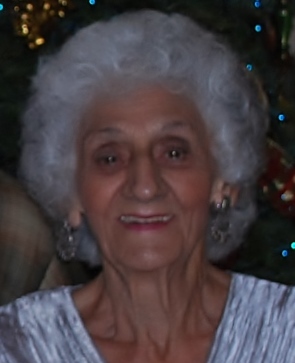 Florence Bachich passed away in Alameda on January 23, 2019 at the age of 96. Beloved wife of the late Gregor Bachich. Loving mother of, Christine Bachich of Alameda, Dianna Wyman of Alameda, Andrew Bachich of San Rafael and the late Annette Bachich and Gregor Bachich Jr. Loving son-in-law Mark Wyman of Alameda, daughter-in-law Troy Bachich of San Rafael. Loving grandmother of Dianna, Erica, Jason, Brooksley, Cole. Great grandmother of Malerie, Mikaela, Connor, Chrissie, Braiden, Kai, Mazi, and Tao. Her family moved from Connecticut to Oakland during her teens where she graduated from Oakland Technical High School. After raising her family in Marin she worked at various jobs in the community. She and her husband retired in Clearlake and wintered in Yuma, AZ while exploring the country in their RV. They settled in Alameda where she lived for the past 17 years. They never stopped dancing. She was a devout Catholic, devoted to family, a woman of strength, warmth, acceptance and humor. Family and friends are invited to attend the funeral services on Thursday, February 7, 2019 at 1:00 p.m. at St. Joseph Basilica, 1109 Chestnut St., Alameda. Mrs. Bachich will be laid to rest with her husband and son at the Lower Lake Cemetery in Lower Lake, CA.